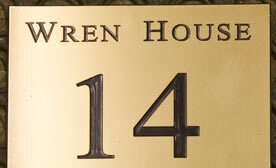 Brass is a very traditional material for a town house . 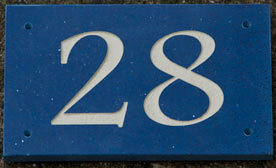 It can be just a simple house number or can include extra wordingas well. 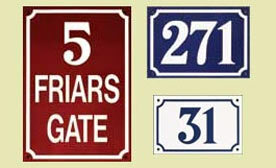 These are LOW COST and yet very attractive house numbers. 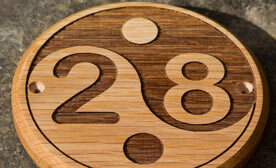 The number is left raised and the background sand blasted away.. 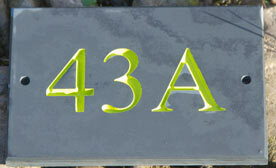 Simple LOW COST slate house numbers - you choose the font. 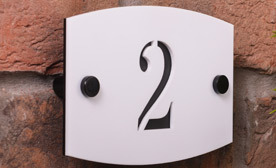 Add an image or a border for more interesting number sign. 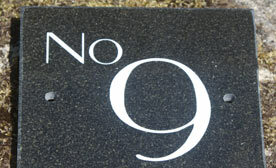 LOW COST house number signs made in 8 different granites. You choose the font, letter colour, plus border or image can be added. Quartzite is a quartz-based engineered stone provides a durable, non-porous, scratch-resistant. Colours are bold with a sparkle. 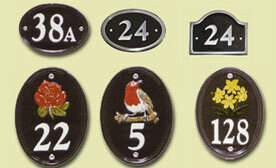 Extremely tough, rigid & hard wearing house numbers which do not corrode. 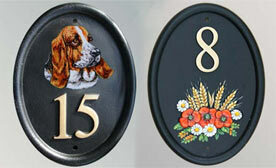 Hand painted cast motifs or pet portraits painted on the flat. 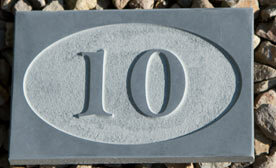 Well made, heavy house number signs cast in solid aluminium. They have a durable baked finish. Letters painted white or polished. 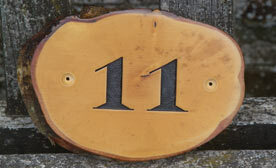 Each piece of timber is different so each house number sign is individual. 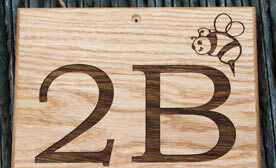 The bark is left on and the whole sign is varnished. 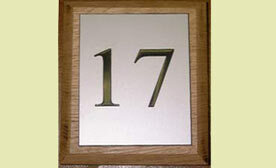 These beautifull door number signs can simply have the design lasered and left unpainted as shown above. 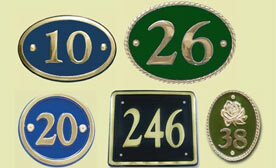 LOW COST house numbers signs in black, green, blue or red. 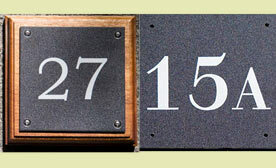 These house numbers look very effective if mounted on a backing board. 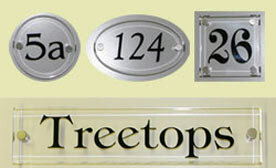 Zinc plate is tough and does not rust or tarnish. 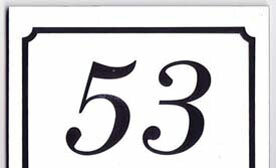 The background is etched away leaving the lettering and number raised. 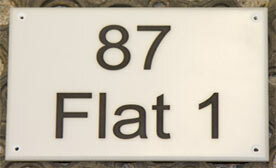 LOW COST house number where the number is engraved through the first layer of laminate to show the colour underneath. They are made using zinc-plated steel - an anti-rust metal, which is then powder coated with one of the five base colours. 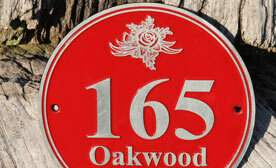 Aluminium is ideal for the more contemporary house number signs. It is tarnish free and more restistant to scratching than brass. 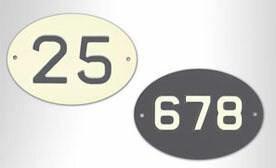 These LOW COST vintage style numbers are gorgeous. 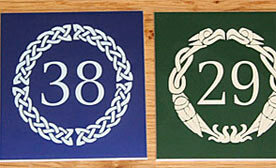 They are made using traditional methods developed over the last 120 years. 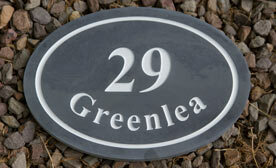 A small range of value for money signs using layers of matt white and glass black acrylic. Fixed with black stand away wall fixings.